The brand BMW has always stood for unique motorsport expertise – even where its accessories are concerned. One particular highlight: BMW M Performance Parts. 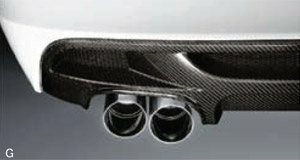 These allow you to retrofit your BMW with vehicle-specific components, further customize it and make it even sportier. Not just for BMW M models anymore: The new range of BMW M Performance Parts is now also available for the latest generation of BMW 3 Series and BMW 5 Series. 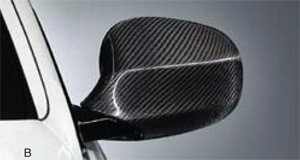 Best equipped in all product categories: BMW M Performance Parts are available for retrofitting in the categories aerodynamics, drivetrain, cockpit, and chassis. Top quality with the M for maximum sportiness: All components in BMW M Performance Parts are inspired by motorsport and uncompromisingly orientated towards sportiness. 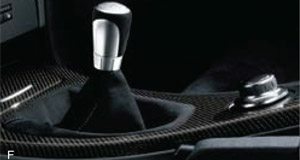 They were developed in conjunction with BMW M GmbH and bear the exclusive seal of approval ‘powered by M’. 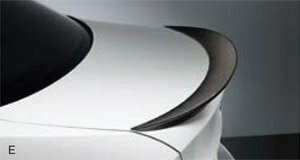 Uncompromising quality for your BMW: Each part must meet the stringent quality requirements of BMW. Extensive development and production processes, the use of the best materials as well as intensive testing and optimal configuration with your vehicle make BMW M Performance Parts the absolute premium product on the market. Sporty parts for other models: BMW will continue to offer BMW Performance Parts. 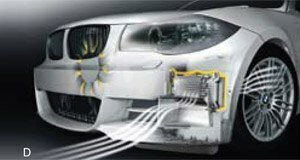 These sporty retrofit components are available for the predecessors to the current BMW 1 Series, BMW 3 Series as well as the BMW X5 and BMW X6.To view products available for your BMW, click your model on the left. 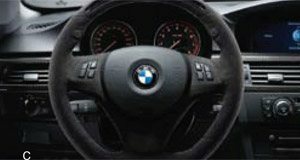 If you have further questions, BMW Grand River’s Parts Department would be more than happy to assist. Please contact us at (519) 747-0269. for more information.